Everyone has always had dreams of when they were little of becoming some famous superstar or super hero. 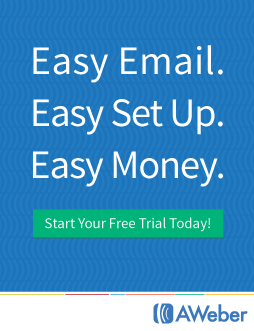 Well now I want to show you how you can become your own email superstar to your subscribers. The first step of this puzzle is acquiring your subscribers. 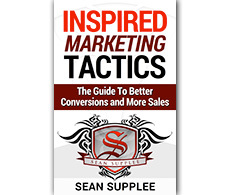 Mastering this will allow you to gain subscribers that really want to hear your message. By using this system I have been able to achieve open rates of over 60% on my AWeber list. The best feature about AWeber is being able to send my email message out on facebook and twitter. This allows me to gain targeted exposure and a chance for these new readers to join my list and keep in touch with any of my future updates. Many new opt-ins will worry about spam and if they can remove themselves from your list whenever they so wish. This is fine and should be clearly addressed on your opt in page or form by using (Verisign, Truste, Trust Guard, ValidatedSite or WebSafeShield) logo. This lets your visitor know you care about your list and will not direct spam emails at them and safeguard their name and email address not selling it to any 3rd parties. Once you start acquiring new opt ins the next step is checking and improving your deliverability. By making sure your emails are CAN spam compliant and you use a solid mailer such as AWeber you can be sure a high percentage of your emails are going out and being delivered. No list building provider will guarantee 100% of your emails will be delivered and if they do you should be worried. Even with the best service and the best email copy you will never achieve a 100% deliver. However there are a number of steps you can take to be sure your message is reaching as many people as possible. Here are a few things to lower your spam score and improve the amount of people your emails reach. Remove things such as huge dollar amounts, be honest in your headlines and make sure the from tag is from an active email account that is on a server that is not blacklisted. If your using html emails be sure to use an image to track it instead of a small invisible image as this will often times set up a flag. Overall just be yourself, be honest and upfront with your readers. Many services such as AWeber will show you your spam assassin score before you send the email out allowing you to make changes and reduce your spam score. One final tip I want to leave you with deals with the best time to send out emails. A study recently done by ReachMail shows that after testing thousands of emails sent out over a months time that Wednesday around noon has the highest open rates for everyones emails being sent out. My general advice is to just play it smart. Don’t send your emails out at 1am in the morning and expect people to read them later on in the day. Often they will be over looked and thrown away with the rest of their spam. Get to know your audience a bit… Do they have jobs which require a commute? Are they self employed? Knowing who your customers are will tell you a good deal about when you should be sending out your emails to make sure they pop up right when they are opening their email to check it.